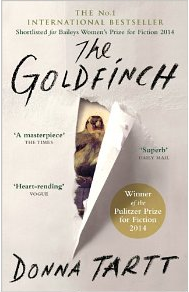 I just recently heard about this book, The Goldfinch, and want to make it my next read. I never read anything until it's old news, it seems, so it will be different to read it while so many others are. I read The Secret History like 16 years ago and have read nothing by Tartt since. I love the way you're doing with a book challenge what I'd do with photography. Great idea, Corinne!